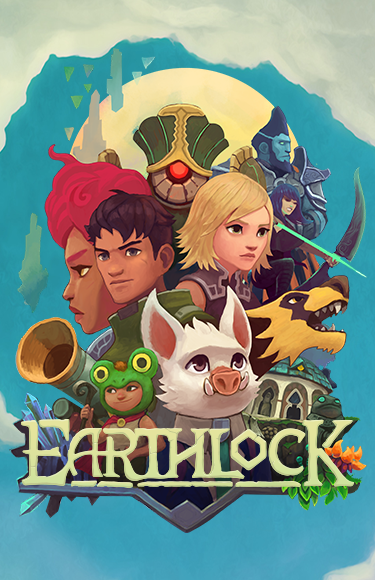 EARTHLOCK is an adventure RPG inspired by the classic 3D RPGs of the late 90's, with a fresh take on turn based combat and character progression. Enter a beautiful world haunted by its fateful past and join a party of unlikely heroes on their journey to rescue Amon's uncle from an ancient cult and uncover the secret of EARTHLOCK. Explore the magical world of Umbra. Fast-paced and highly strategic turn-based battles. Harvest magical materials to craft helpful items and perks on your home island. Utilize Your Talent Table: combining a classic 'skilltree' and equipment to customize your character's progression. Alternate between 6 playable characters.